Quick Print offers excellent quality for your printed product, our superior method of offset printing and qualified, experienced printing staff will ensure that every project is printed to the highest possible standard. For smaller scale jobs we offer high quality digital printing to ensure that costs are kept to a minimum. We use environmentally friendly sourced paper for our printing. Contact Mick and the friendly team today. 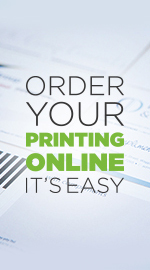 Here at Quick Print we offer creative design and professional printing solutions for your business. Our creative graphic design team can help to provide you with creative and effective design solutions to suit your needs. Our help and advice is always at your disposal. Contact us today about your next printing or design job. We believe that beautiful wedding stationery should be affordable and be suited to your needs and style. Have a look through our design range or alternatively contact our wedding gurus for a completely custom design.